Do you like eating fresh, home-made food? At Pinhay, we do. Not only is good nutrition essential to health; the enjoyment of freshly prepared meals also aids the physical and mental well-being of our residents. 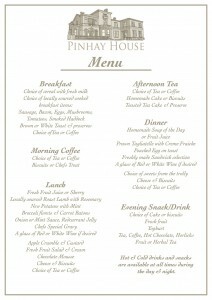 We encourage family and friends to enjoy the dining experience at Pinhay with our residents. Whether it’s for a birthday celebration or other special occasion, our chefs are always pleased to help. We would welcome the opportunity of showing you how good our food is. Please contact us and join us for lunch or for an evening meal. Our Pinhay chefs are passionate about providing fresh seasonal food, which is locally sourced where possible. Here on the Dorset / Devon border local produce is thriving, and many local butchers, bakers and of course fishmongers still ply their trade. We go to great lengths to cater for the individual nutritional needs of each of our residents. 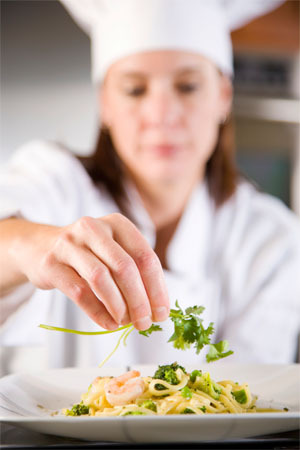 Special dietary requirements such as diabetes and food allergies are carefully catered for. Every day has a different menu, with each resident having a choice of what they would like to eat each day. And not just breakfast, lunch and dinner. Morning coffee and cakes, and afternoon tea are also served, with fresh fruit readily available to supplement regular meals if desired. Whilst some residents occasionally eat in their own rooms, most enjoy the company of others at mealtimes. Pinhay’s elegant dining room offers a restaurant service, where our residents can socialise and catch up with the events of the day. Please download a sample menu.